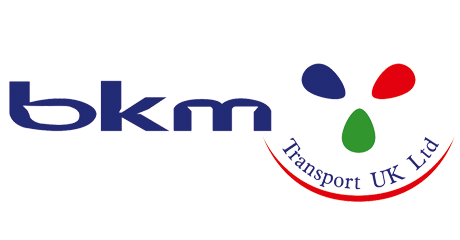 Bakimci/BKM is a privately owned International Transport Company. We were founded in Turkey in 1990, and pride ourselves on building a reputation for providing outstanding quality of service for all our customers, which, continues to secure a loyal customer base. Our strong management team are committed to provide exceptional service levels in order to provide each of our customers with a personal and reliable service. At Bakimci/BKM, we can offer groupage transport activities to England, Scotland, Ireland, Germany and also undertake full truck service to all European countries. Our services also include carriage of goods from Europe to Azerbaijan and the Middle East. We have agencies in Europe and also in throughout Turkey and CIS counties. At Bakimci/BKM, we are proud to be able to offer our clients a full range of logistical services, from product sourcing to ultimately, the safe and fast delivery of goods to the customer. Bakimci/BKM, has a fleet of 70 vehicles including, boxed, curtain side and temperature controlled. We own all of our own vehicles and do not sub-contract out to other Transport companies, which allows us to stay totally in control of our service. All of our drivers are ADR Trained, and can safely transport dangerous and fresh goods. Every vehicle in our fleet has the advantage of being installed with the latest satellite tracking system, which allows us to pin point their exact location 24 hours a day. This helps us to ensure that your goods are delivered safely to the right location, at the right time and at the right price. You can also be safe in the knowledge that all goods transported by Bakimci/BKM are covered fully by CMR Insurance. We take pride and are passionate about our business. We are committed to all of our customers and their individual needs and, appreciate the loyalty we receive from them. Whatever your transport needs, please call us and we will ensure you that you will receive a friendly, fast and reliable service.